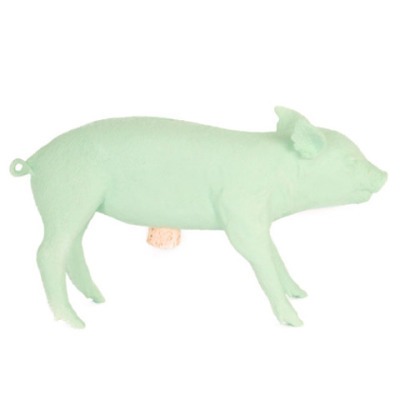 In looking for very special gift items this season, I was fascinated by designer Harry Allen's cast resin and marble "adult" piggy bank. 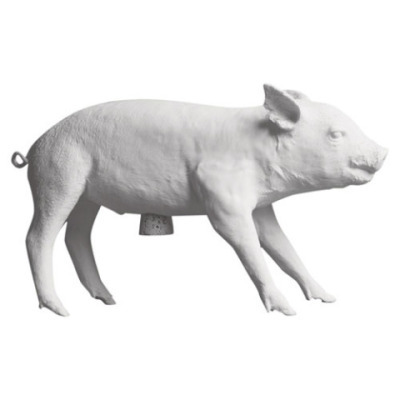 * There's its realism (the Bank in the Form of A Pig is, after all, cast from the designer's own pet pig), the artistry of the finely-etched casting, the wry statement the 18-inch long tea cup pig makes as a design centerpiece... It can't help but be a centerpiece! world famous designer, would look smashing on her dark cherry-wood server. She would love it, even be encouraged to stuff dollar bills in his tummy and look forward to saving $10,000.... What greater gift can you give a friend these days? 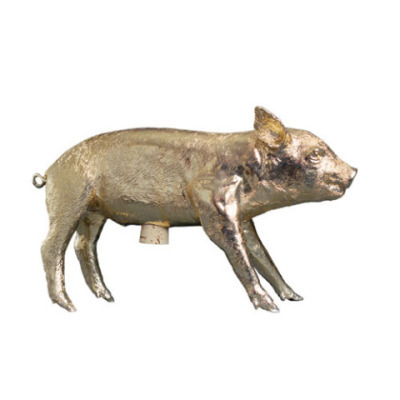 I am so in love with the Banks in the Form of Pigs, in their pastels and metal finishes, I'm going to show you each one, though all are guaranteed to be noticed and remarked upon. 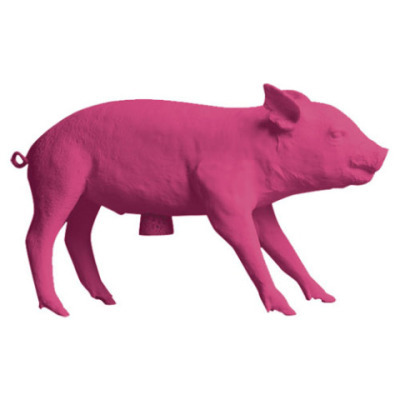 Now, who would not notice a hot pink piggy bank? Yes, it is for real. 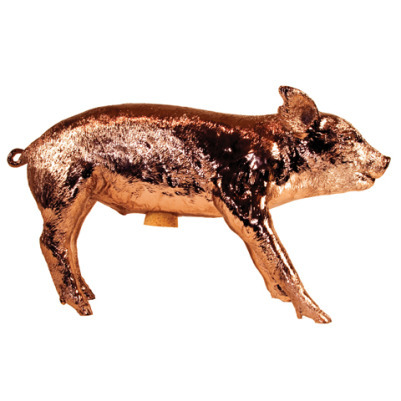 Here's where you can purchase Allen's Bank in the Form of a Pig: Moss is the exclusive home of the copper pig, which was made in a limited edition of 300. Five percent of the profits will be donated to the Humane Society of the United States, according to the wishes of the designer. 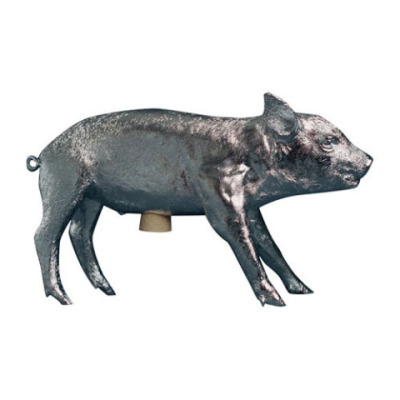 Other retailers include Amazon.com and Mr. Allen's manufacturer and distributor, Areaware. Prices vary, depending on finish, from $95 to $250. 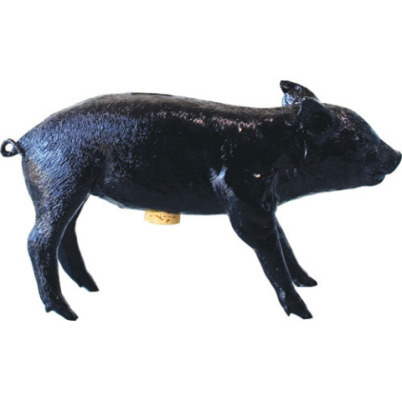 * The Bank in the Form of a Pig is not for children. It is fragile and should be handled (lovingly) with great care.